The Licorice Film team, creators of 2007’s popular MeiGeist game, has a finger on the launch button for their newest project, The Sky Remains, due to begin in April. In partnership with HP Labs, The Sky Remains combines interactive ARG elements with GPS technology and the thrill of geocaching and treasure hunting using mscape (short for “mediascape”), HP Labs’ experimental mobile gaming platform. A list of compatible hardware for mscape is provided on the mscaper site. The game’s FAQ section states that players do not need these devices to participate. Players of MeiGeist may have spotted some familiar faces in the trailer for The Sky Remains. (ARGNet also has a brief cameo!) The main story arc centers around the “6th Dimension Detective Agency” – with the players taking on the role of the 6th Dimension Agents, of course! The game breaks away from the one-time ARG experience by introducing a “re-playable” narrative. It also offers players the option to follow some parts of the story as a single player. However, collaboration and cooperation among players will be necessary to “discover the deeper subplots,” according to the FAQ. The Sky Remains also invites user-generated content, and the game’s website will serve as a social networking site for players to create and publish their own case files and stories after the initial case file has been solved and closed. Frank Sturgis, who has previously worked at Allied Resource Management Consolidation Inc. let us know about some shady business going on at the company, and requests help with “get[ting]into their servers” via the ARGNet voicemail. The first problem we see? Frank Sturgis apparently died in 1993. Players are already discussing things at the Unfiction forums. Joshua at Triad Genomics dropped two separate emails into our laps — one stating “This is the beginning of the Ancient Word,” and the other giving us a string of numbers (18882015221, or 1-888-201-5221). The one-liner comes from the Popul Vuh, an with Mesoamerican/Mayan connections. Discussion has also started on the Unforums with the first post made only yesterday. The game is a promotion for Christopher Forrest’s novel The Genesis Code, according to the official web site. A new “augmented reality game” (their description, not ours) has appeared which is connected to the popular MeiGeist ARG which concluded earlier this year. The game, called “Timehole” (according to creator Jon Williams) is a proof-of-concept stereotype that utilizes GPS technology, has a 30 minute gameplay duration, and will start within the next six weeks. You can join in on the discussion at this Unforums thread. Finally, there is an ARG developing in The Netherlands called They Are Here. The game kicked off with an elaborate staged event in which white tents were set up in broad daylight, leaking steam, while people in biohazard suits moved about the scene (thanks to Lieke Voermans for an excellent recounting at her blog). A short discussion has begun at the Unfiction forums. Let the summer ARGs begin! In our last episode before migrating the netcasts to a shiny new web site, we reflect on the many, many emails we received in response to Episode 12. Episode 13 assembles the same panel as last week, which (in case you missed it) includes Jessica Price, Nicko Demeter, Jackie Kerr, Sean C. Stacey, Brooke Thompson and Jonathan Waite. Subscribe to the ARG Netcast feed through FeedBurner or via iTunes. The views expressed in the ARG Netcast do not necessarily represent the views of ARGNet. 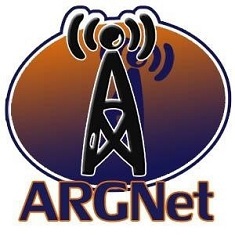 The opinions offered in the ARG Netcast are those of the panelists, and should not be assumed to be factual reporting for the ARGNet web site. We discuss this for a bit, just to make sure we leave no stone unturned. A new Nine Inch Nails game is out in the wild (starting at www.iamtryingtobelieve.com). It may or may not be a 42 Entertainment game. Nicko has been playing and talks about what’s in the water. Head over to the Unfiction forums for discussion. The Monster Hunter Club summary from molecularr has been published! Also, The Host movie screening was last Monday and included in-game character yumminess! The Gumshoe interactive radio play has been postponed until Wednesday the 21st of February, due to inclement weather. There’s a new game called The Wyoming Incident making waves at the UF forums. With 32 pages of threads so far, we’ll need some help from helpful listeners in sorting out the details for the next netcast. The Vanishing Point post-game chat finally happened yesterday (Saturday), and Jessica was a moderator. She talks about the chat, and Rob from Neowin sends in a special message for the ARG community. Lost Envelope is a new marketing campaign that Nicko has started… and finished playing, with less-than-awesome results. MeiGeist had a live event in Bristol. At airtime there wasn’t much to report, but Russell_k at Unfiction sent us a link to his summary post. Thanks Russell_k!